Opletnya is a village in Western Bulgaria. It is located in the Municipality of Svoge, Sofia district. Every year, on the second Saturday of June, a rural fair featuring live music is held. 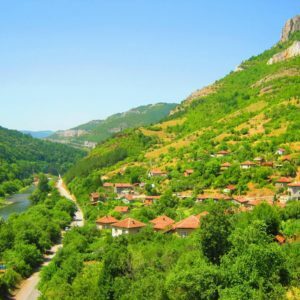 The village of Opletnya is located in a mountainous area, in the middle of the Iskar Gorge. The nature in the village is the usual mountainous area with deciduous forests and is not so coniferous, but it is very beautiful. Old people from the village of Opletnya say that the name of the village comes from a girl whose hair was bruised for the biggest tree in the village. This happened during the Ottoman rule. A monument was built in the village of Opletnaya in honor of two revolutionists of the Botev’s group.